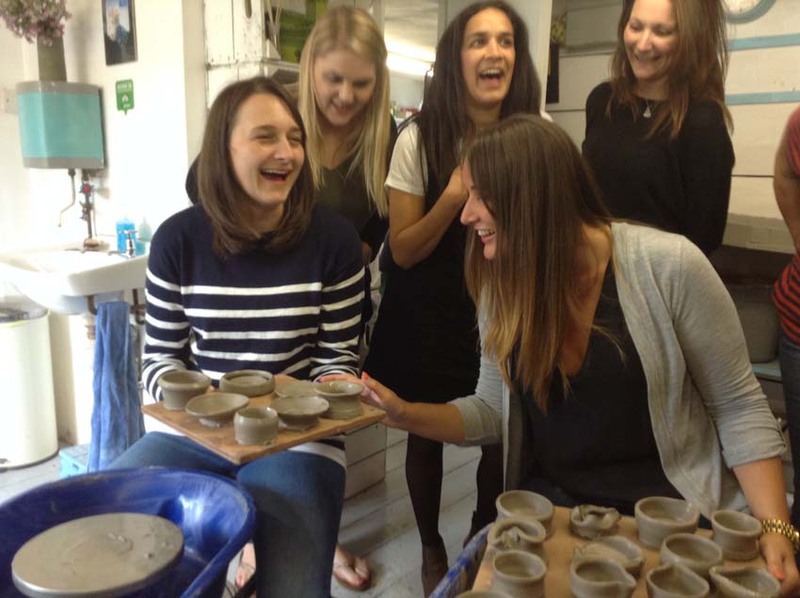 Some of customers over the past four years or so will remember throwing pots under the tutorage of one of our staff members called Ethan. 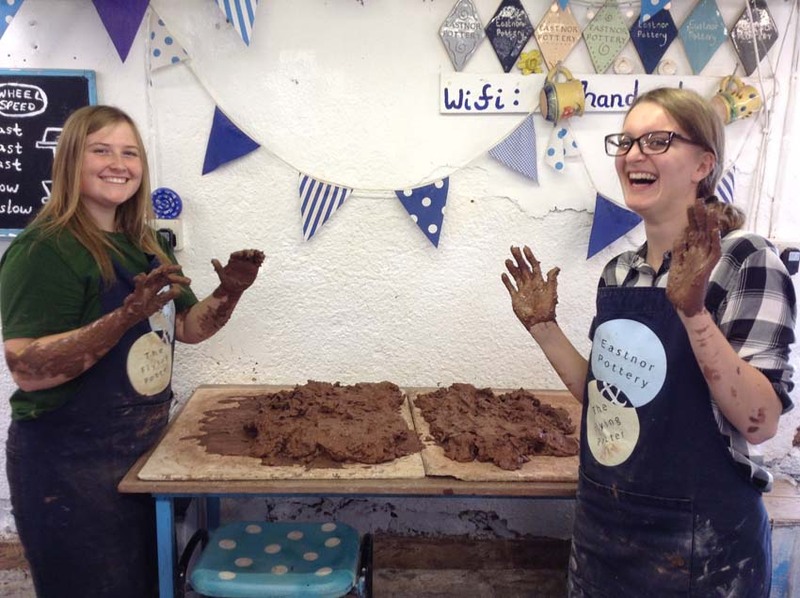 Ethan joined us in 2012 as a fresh faced Community Arts Apprentice having never thrown a pot in his life. 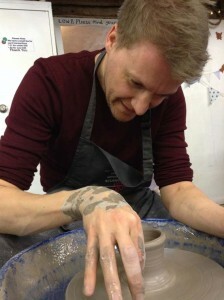 As part of his training we encouraged him to spend at least an hour a day on the potter’s wheel perfecting his technique. In a short space of time he was proficient enough to work with our customers, and was so smitten with the clay, established a studio at home. 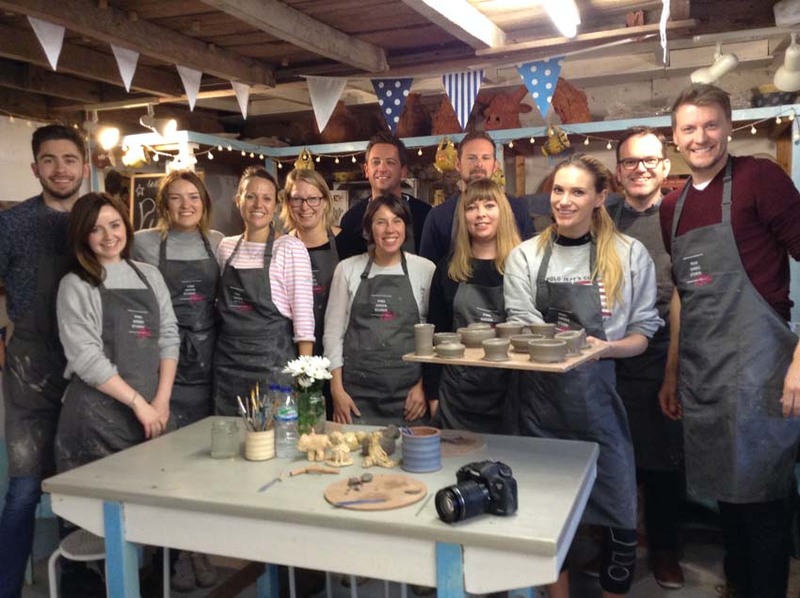 Such was his rapid development and interest in pottery, after he finished his year-long apprenticeship we were able to offer him full time employment as a workshop facilitator here at Eastnor Pottery. 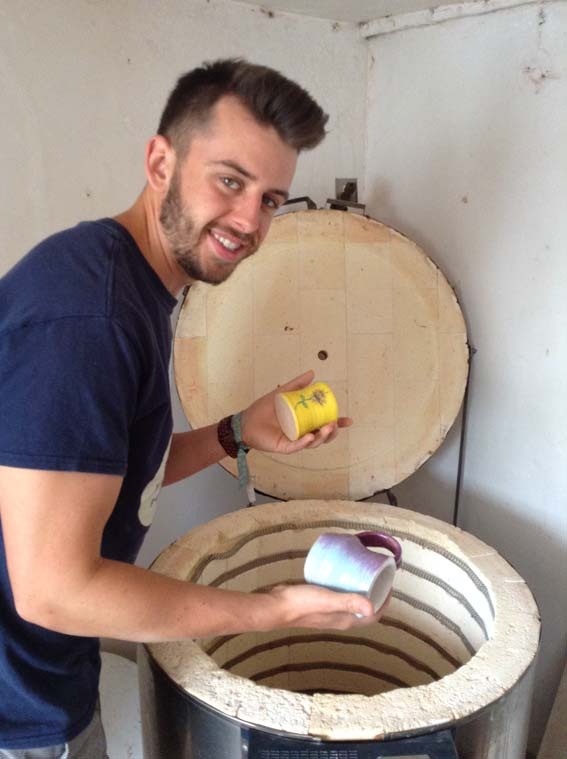 Fast forward to April 2018 and Ethan has nearly completed the first year of a BA Hons Ceramics course at Cardiff Metropolitan University! Throwing is still very important to his making and he’s been making some pretty handsome forms decorated by way of a technique called naked raku. More examples of Ethan’s work can be seen here. 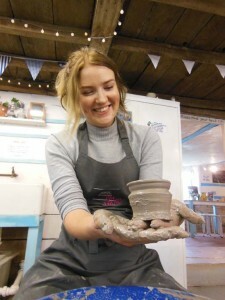 http://eastnorpottery.co.uk/wp-content/uploads/2019/03/eastnor_pottery_header_2019-3.png 0 0 admin http://eastnorpottery.co.uk/wp-content/uploads/2019/03/eastnor_pottery_header_2019-3.png admin2018-05-17 19:30:462018-05-17 19:30:46The boy done good! 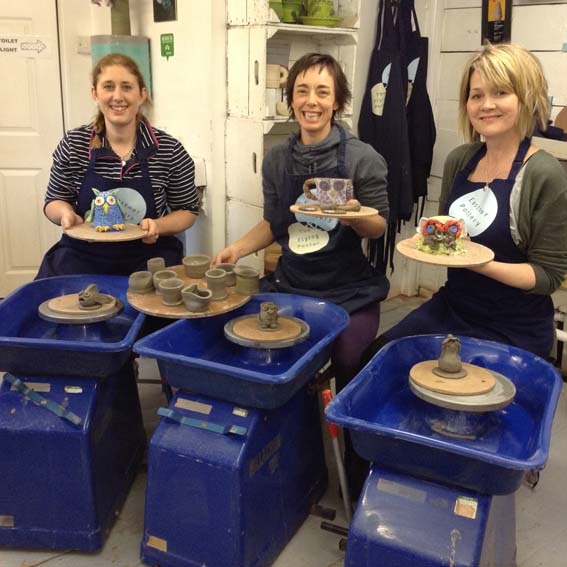 These three teachers from Dean Close Co-Educational Independent School in Cheltenham came and spent a day with us in November learning about clay and making techniques. 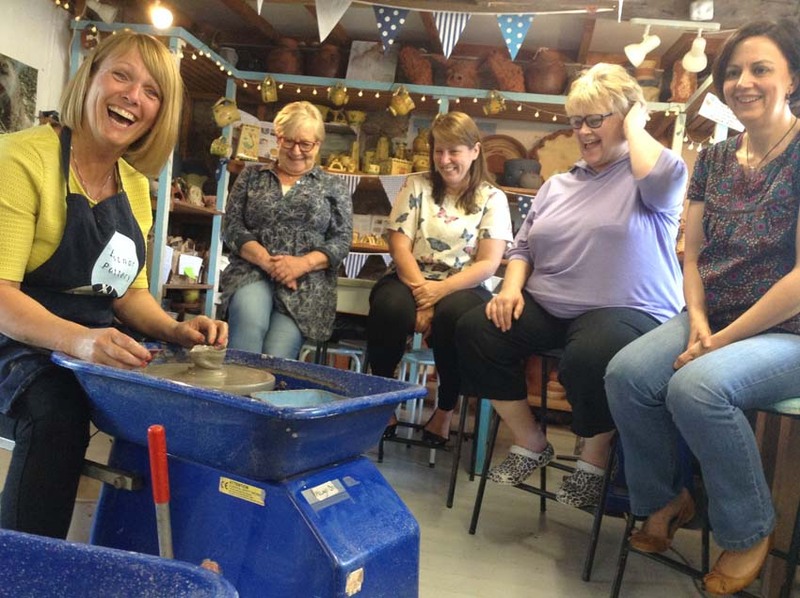 “We all learnt so much and helped us to reinforce the basics whilst giving us the confidence to pass our knowledge onto the children we teach. A highlight had to be throwing a pot! We all loved it and can’t wait to get practicing. 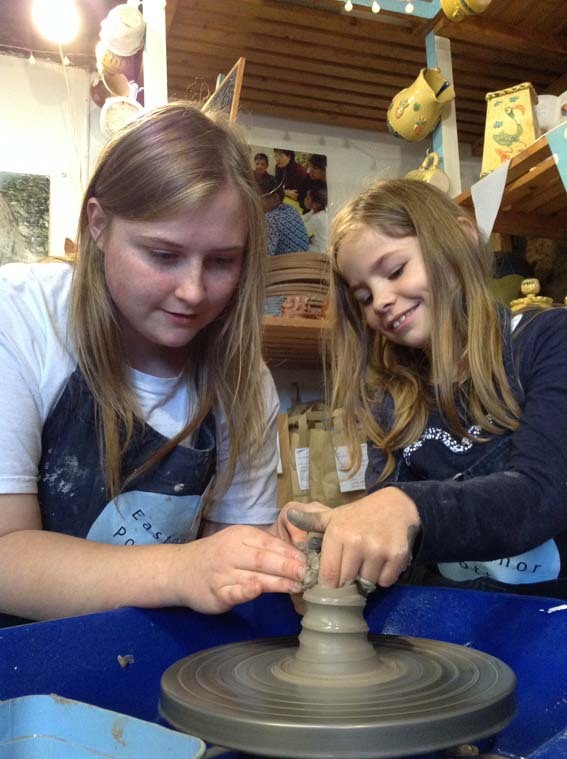 We are delighted at how well Aimee and Immy have settled into life here at Eastnor Pottery and the Flying Potter. In fact the pair are positively flying! 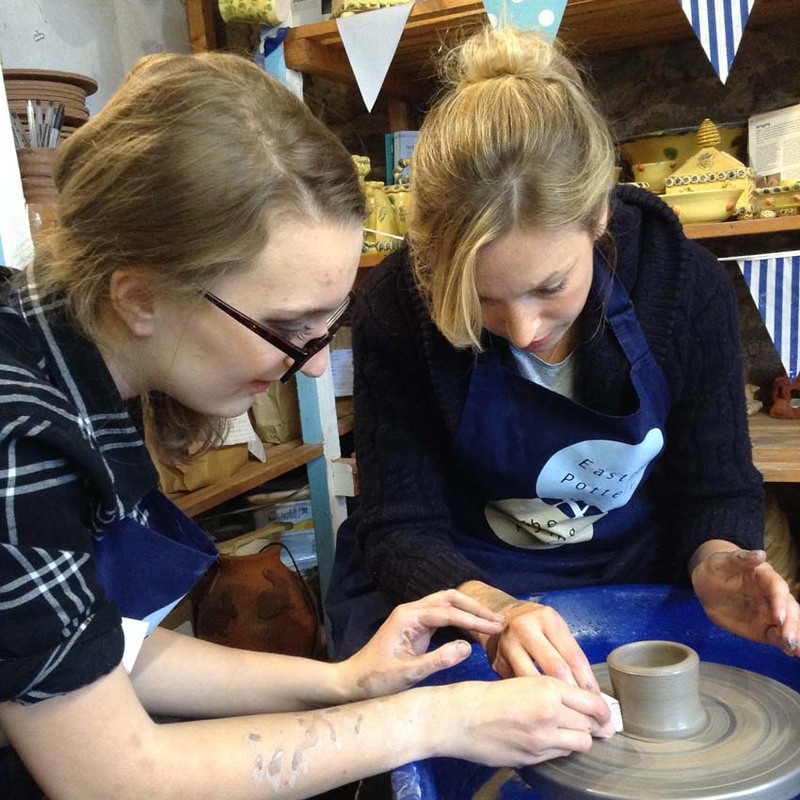 As well as all the wedging, fettling, kiln packing and cleaning, the girls have become very proficient at making pots on the potter’s wheel. So much so we haven’t had any hesitation in letting them share their new found talents with customers of all ages and abilities.